Bigger isn’t always better. In fact, smaller is often less expensive and better for the environment. The most recent trend in Green home design is to build smaller more efficient homes. McHenry County home builder, Gerstad is pleased to announce a new product line designed to meet today’s buyers demands. The custom home builder will now offer smaller, more affordable homes. Designed to help save the buyer money both upfront and over time, these new homes are perfect for anyone who wants a quality, well-built Gerstad home that has been right sized. The new ranch and two-story plans range from 1,292 to 2,030 square feet and are designed specifically with first-time homebuyers in mind. Currently these new, more affordable, value enhanced homes are base priced from $180,490 to $204,990. If downsizing doesn’t appear to be in your family’s future, no worries as the builder will still be offering all of its traditional floorplans. With eight different ranch homes ranging in size from 1,900 to 3,200 square feet and eight two-story homes from 1,900 to 3,200 square feet, buyers are sure to find the perfect home for their family amongst the Gerstad collection. Gerstad is currently building in three communities throughout McHenry: Liberty Trails, The Trails of Dawson Creek and The Trails of Pheasant Ridge. Each community offers buyers with something unique and special and as with every home that Gerstad builds, homes in these three communities can be customized to fit the buyers needs. Need extra space? A wall removed? It’s no problem when you’re building with Gerstad. We have over 35 years of experience in the home building industry and would love the opportunity to show you what we can do. For more information about any of our products, homes or communities, please visit the Gerstad Builders website. There you’ll find information about floorplans, pricing and the community. 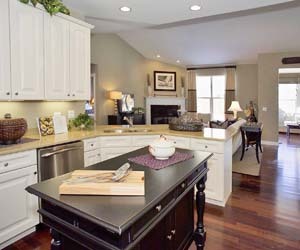 This entry was posted in Energy Efficient, Featured, Green Design Trends and tagged gerstad builders, mchenry county home builder, right sized, smaller homes on June 2, 2010 by Carol Morgan.